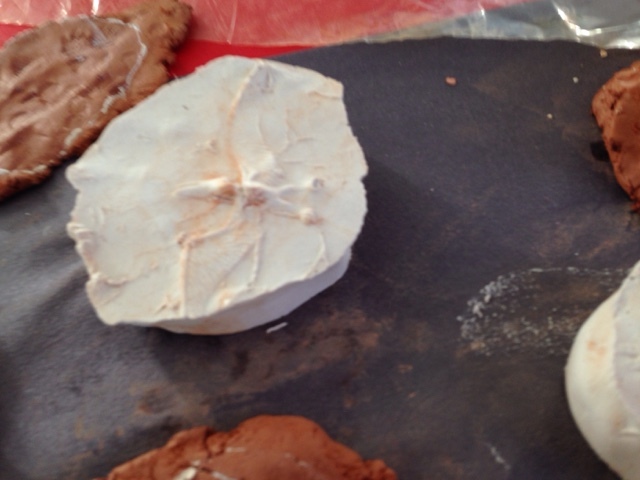 Today we made fossils, and it was great fun! 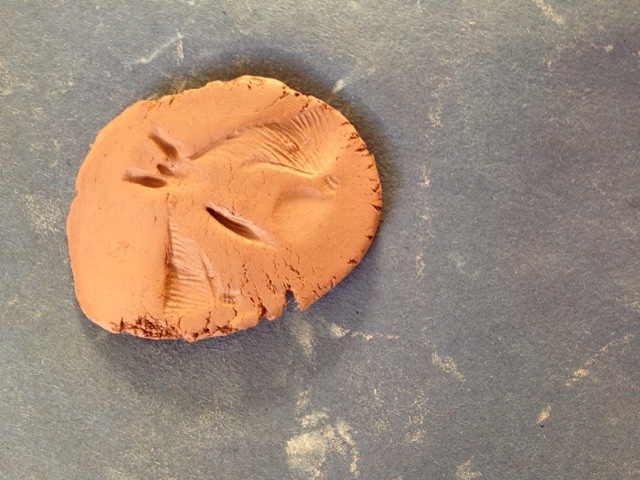 This week has been focused on dinosaurs so we used the toy dinosaurs to make marks in the clay. 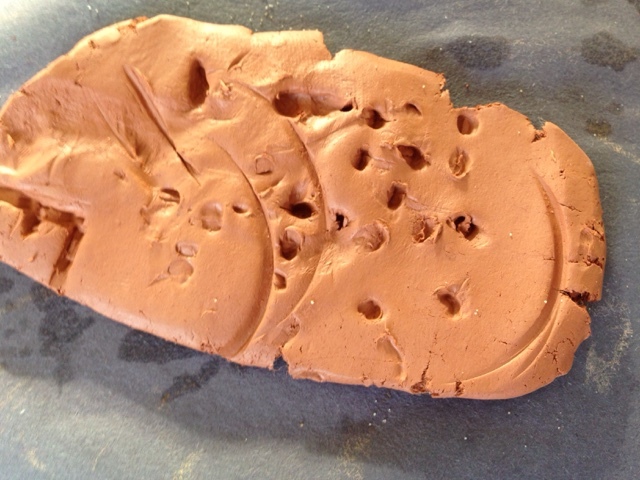 We then rolled out snakes of clay and flattened them to create walls. 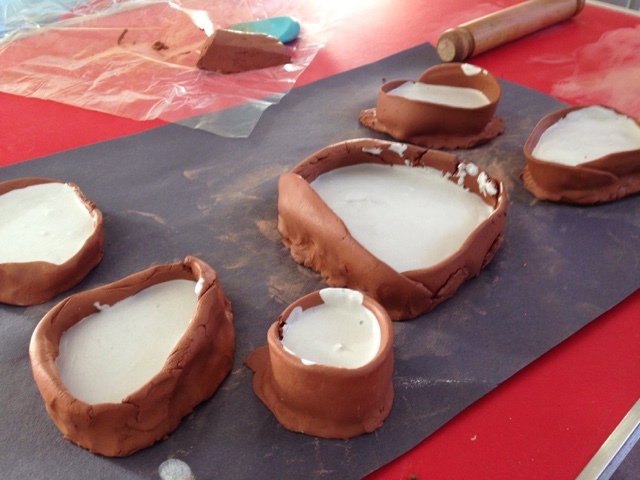 I mixed up plaster of Paris with water to a gloopy consistency so I could spoon it out into the molds. 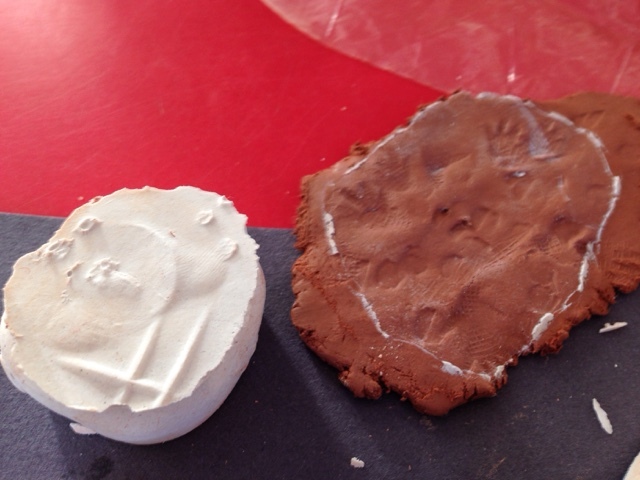 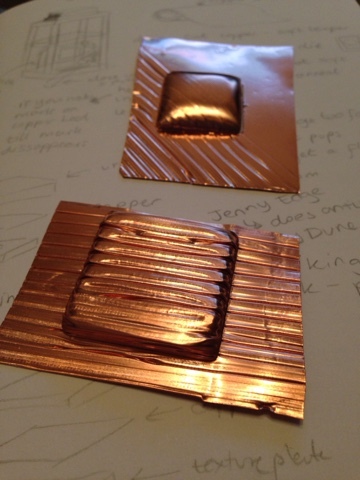 Then I filled the molds we had made with the mixture and left to set. 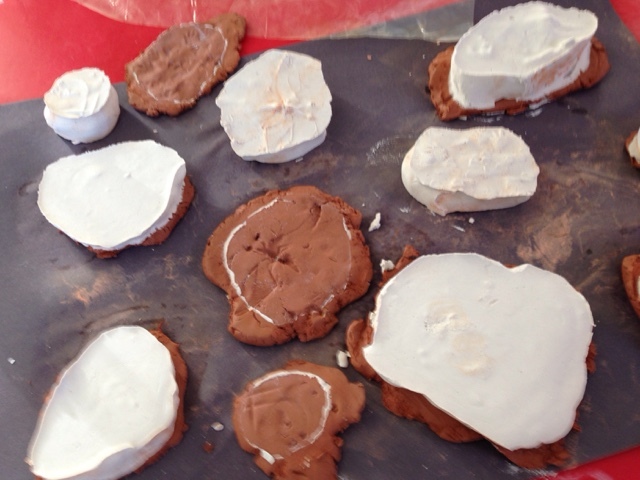 When set, we carefully peeled the walls away and saw the 'fossils' we had created. 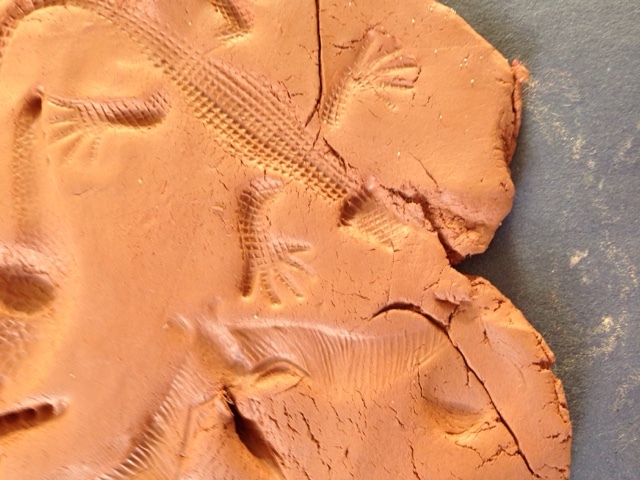 The design was raised as the negative space we had taken away through pressing dinosaurs into the clay was filled in. 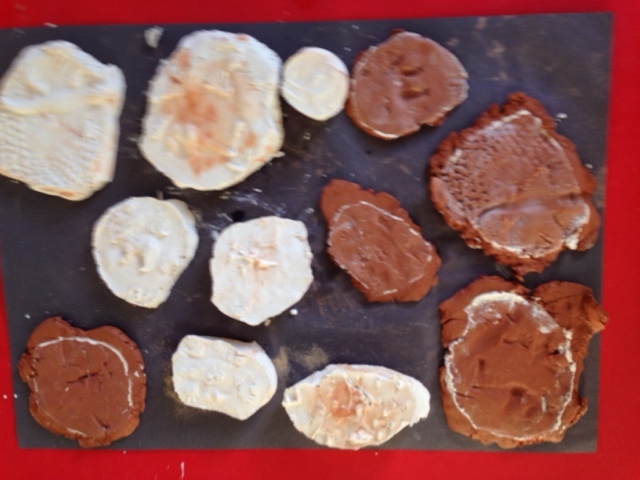 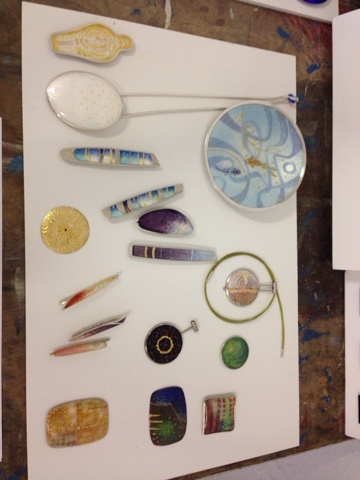 Here are a few examples of our fossils.